Streets Ahead Style: Indie Expo Canada 2017 - Event Recap & So. Many. Pictures. 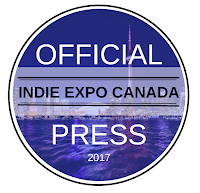 Indie Expo Canada 2017 - Event Recap & So. Many. Pictures. 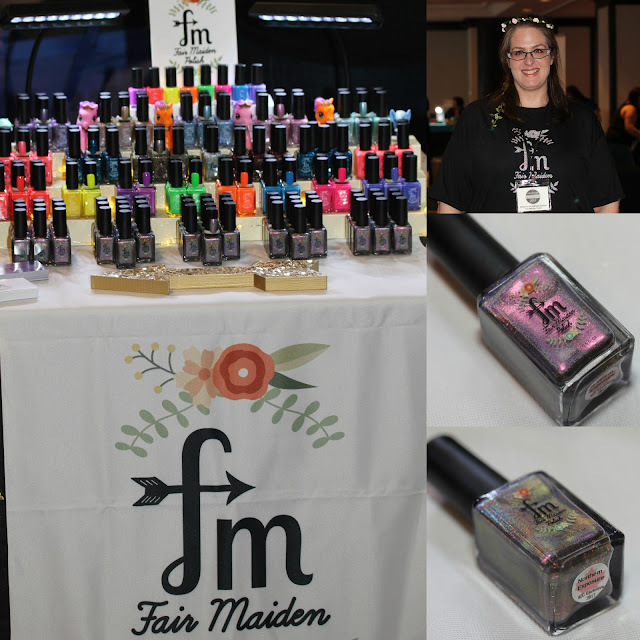 It's not everyday you get to spend a day with fellow nail polish addicts but that's exactly what I got to do on June 4, 2017 at the inaugural Indie Expo Canada (IEC) in Toronto at the Hyatt Regency Hotel on King St. West! I had the privilege of being Official Press for IEC which means I have a full event recap for you to live vicariously though. 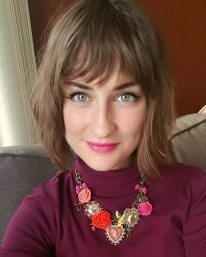 To give a little background on IEC, it's the baby of Pam Heil of Girly Bits Cosmetics and she describes the event as "Canada's premiere event for small businesses in the beauty industry. Experience the ultimate in independent beauty brands under one roof. It is a bridge between an upscale vending event and a traditional expo. 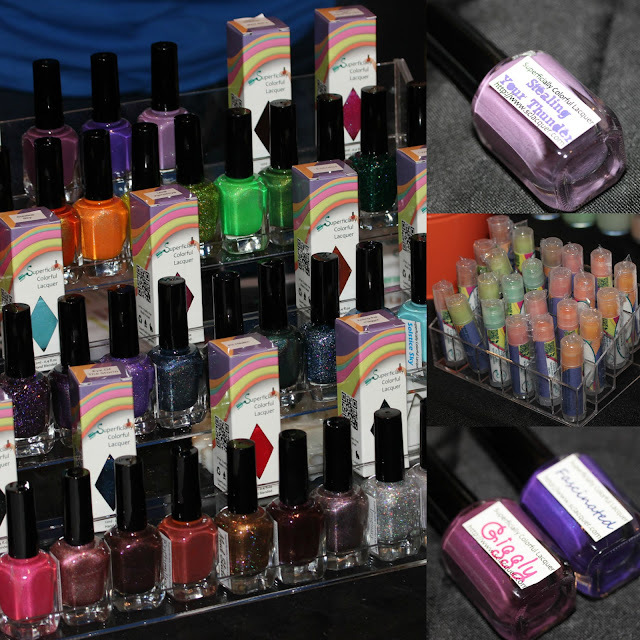 IEC will be highly focused on Indie nail polish, and also feature cosmetics, make-up, skin care, bath & body, and more." So, hold onto your hats... I've got a TON of pictures to share from this stellar event! Follow me as I tour you from vendor to vendor at IEC. The first table I had to check out was Colors by Llarowe. I have been buying Leah Ann's awesome polishes since she opened shop in 2013 so I knew I had to meet the mastermind behind the brand. It was a joy to meet Leah Ann and talk about our Prime Minister, Justin Trudeau (who is also the subject of the CbL IEC 2017 LE "Can We Have Trudeau?"). The other LE was Hey Girl (pictured with Can We Have Trudeau?) and the event Exclusive was O Canada, a lovely bright red linear holo (pictured on its own). CbL's display was poppin' and I might have drooled a little bit on her table. Another maker I was super excited to meet was Rachel of Ever After Polish. I was greeted with a big hug after talking to Rachel online for years and oogled at all the pretties and yummy smelling bath and body products. The Exclusive polish for IEC was Diamonds are Forever and I grabbed License to Lacquer, one of the event LEs. Next up is Fair Maiden Polish whose table was managed by the lovely Rebecca! I have never tried Fair Maiden so was excited to check out what they had to offer. The event Exclusive was Northern Exposure (pictured above with its many shifts) and the VIP Exclusive was Toronto Sunset. 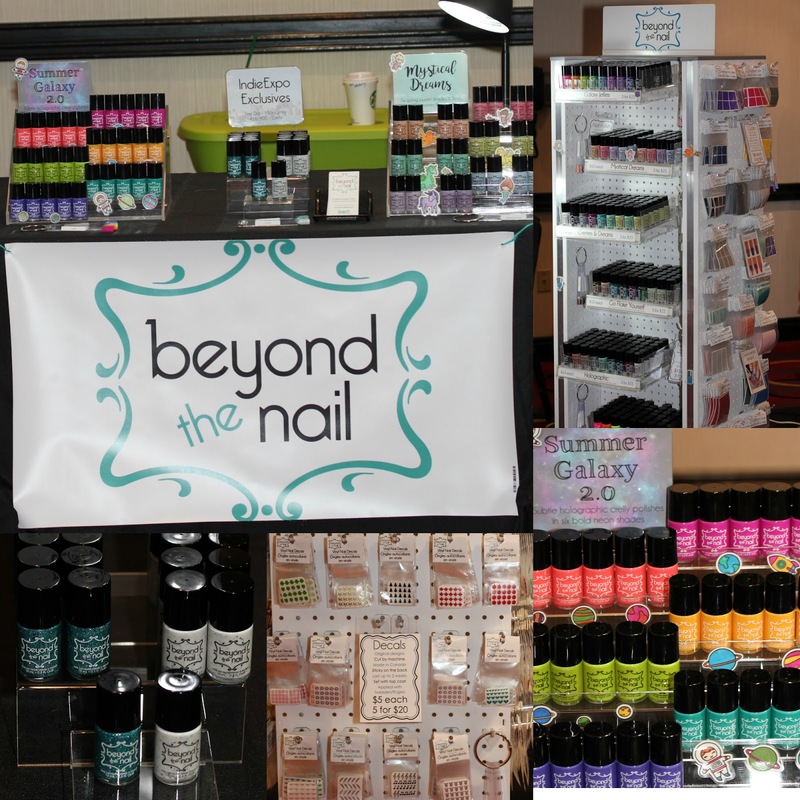 Beyond the Nail is a super awesome Toronto-based sister duo that makes nail polish and nail vinyls! All of which were on display in a very impressive fashion. There were SO many vinyls to peruse - something for everyone really. 416/905 and Tee Dot were the Exclusives (pictured at bottom left). By the time I went back to their table in the afternoon, several of their polishes had sold out from the Summer Galaxy 2.0 collection. It's awesome to see a brand's products being so well received. Canvas Lacquer is another Canadian (Toronto, specifically) brand and I was able to meet the brains behind the nail polishes: Alana and Lan, lifelong best friends. 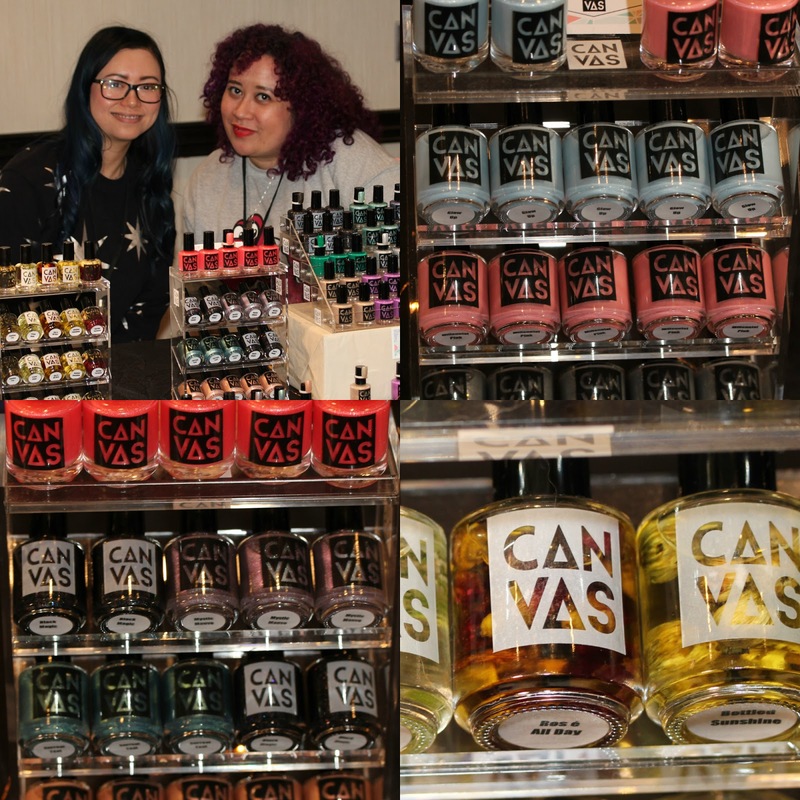 Canvas Lacquer is handmade, vegan! Canvas Lacquer brought an amazing array of polishes and their absolutely beautiful cuticle oils. And now for something not nail polish-related... Clionadh Cosmetics! Until Indie Expo, I had never heard of Clionadh Cosmetics which is a shame because their beauty products are GORGEOUS. And vegan. And cruelty-free. And Canada. And made by sisters! Oh, and all products are made using 100% latex-free gloves. Yay! Clionadh specializes in handmade highlighters and blush toppers which are meant for all skin tones. The Paleo Palette was the star of the show at their table, in my humble opinion. I was SO excited to finally meet Sammy of Cuter Cuticles. She and "Mr. Sammy" were adorable and brought a ton of deliciously scented goodies that are super effective and part of my core nail care routine. 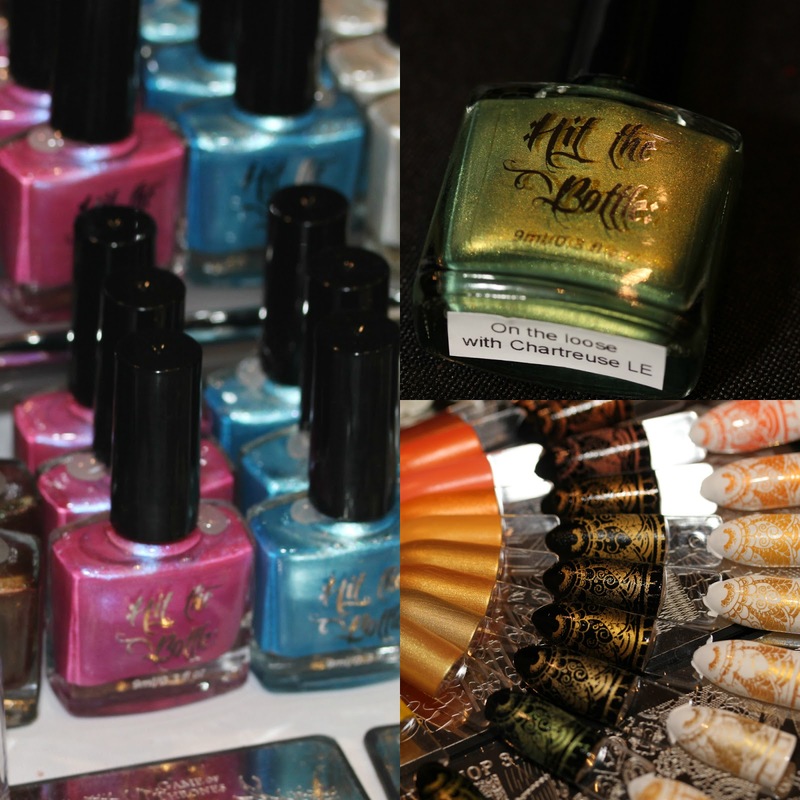 Union and Kensington were the Exclusive cuticle oils for the event. They smell divine! I picked up some of their AMAZING Barrier Butter too. 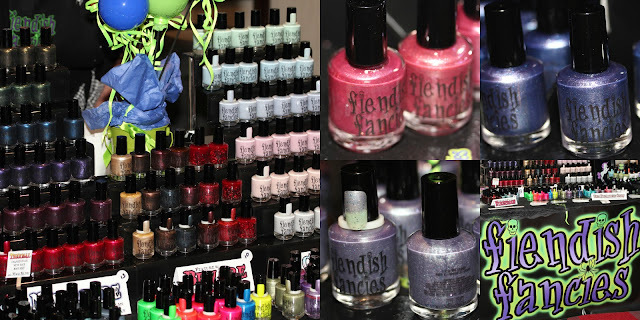 At the Fiendish Fancies table I (also) finally met Lara who makes horror film inspired polishes. For the VIP bags, Lara made 7 different colors, all small batches, inspired by horror film tropes. I got a bottle of The Red Herring of which I will share swatches at a later date. The event LEs were Lycanthrope and The Curse, inspired by Canadian horror flick Ginger Snaps. Lara also debuted "I Want My Cake," a thermal for her second anniversary! 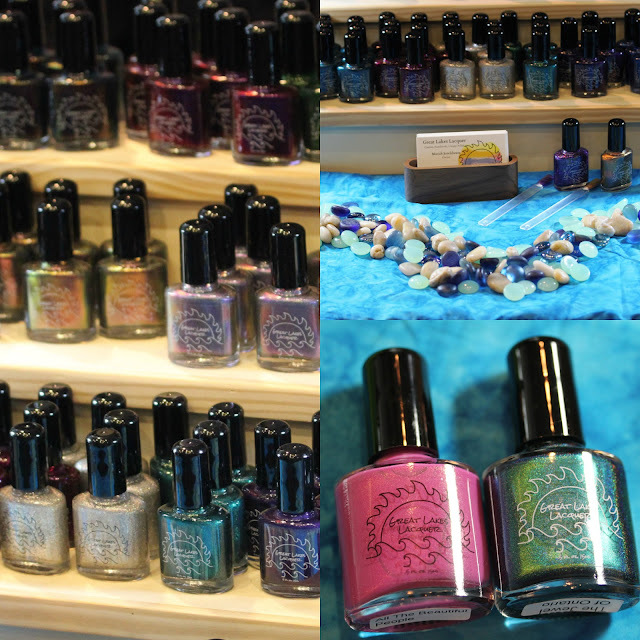 I was pretty excited to check out the Great Lakes Lacquer table and loved the water-themed display Mariah had set up at the event. Mariah is an a nail polish lover and it shows - her polishes are really unique and she's gained quite a following in a short period of time. The Jewel of Ontario and All the Beautiful People were the event LEs (bottom right). All of way from Australia, by way of nail polish e-tailer Beautometry, was Hit the Bottle. If you know me, you know that I am the WORST at stamping but I honestly felt so inspired by the offerings at the Beautometry/Hit the Bottle table. On the Loose with Chartreuse was the VIP LE polish and I am excited to try my hand at stamping with the Moyra Stamping Plate that also came in my VIP bag. More polishes from almost halfway across the world... Moo Moo's Signatures all the way from Singapore! 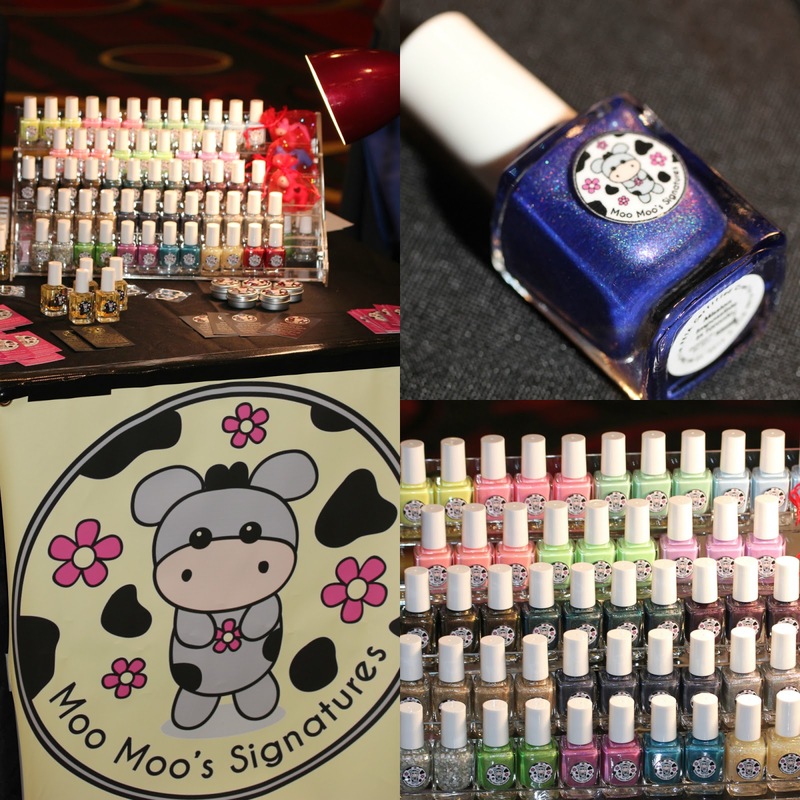 Moo Moo's is Moo Moo's polish is Big 4 Free and PETA certified cruelty-free. The pastel cremes from the Rainbow Flowers Bath Collection were really tempting me at this table and the IEC Event Exclusive, Mission Impossible in Toronto, might be referring to my mission to exercise self-restraint at the event - so many pretty products, how do you choose which to buy and which to skip?! One of the other big and beautifully adorned tables was that of Native War Paints! I met the brains and beauty behind the brand, Amanda Pigeon-Scribner (who was wearing a dress covered in her brand's logo - amazing!). NWP had a ton of polishes, beauty products and nail care items for sale probably because she was coming from not-so-far-away Michigan. NWP really knows how to make a shimmer polish - as you can see from their beautiful event LEs above. Another brand that was attending by proxy was Pahlish - their products came in from Nashville, TN but a volunteer was managing their table. The event Exclusive was Graffiti Alley which really resonated with me as I have always loved Queen West and Rick Mercer who always does his rant in Graffiti Alley (bottom right). The other Exclusive at the event (top right) was Crying Wolf, which is exclusive to Girly Bits online shop. I loved how much blue nail polish was at their display! Wow - Tonic Polish! This table had a HUGE lineup. Maybe the longest line at the event. Unfortunately (and probably part of the reason for the line), Tonic's shipment of polish for IEC was held up in customs so they had very limited stock at the event but offered everyone there a code for free shipping to Canada. 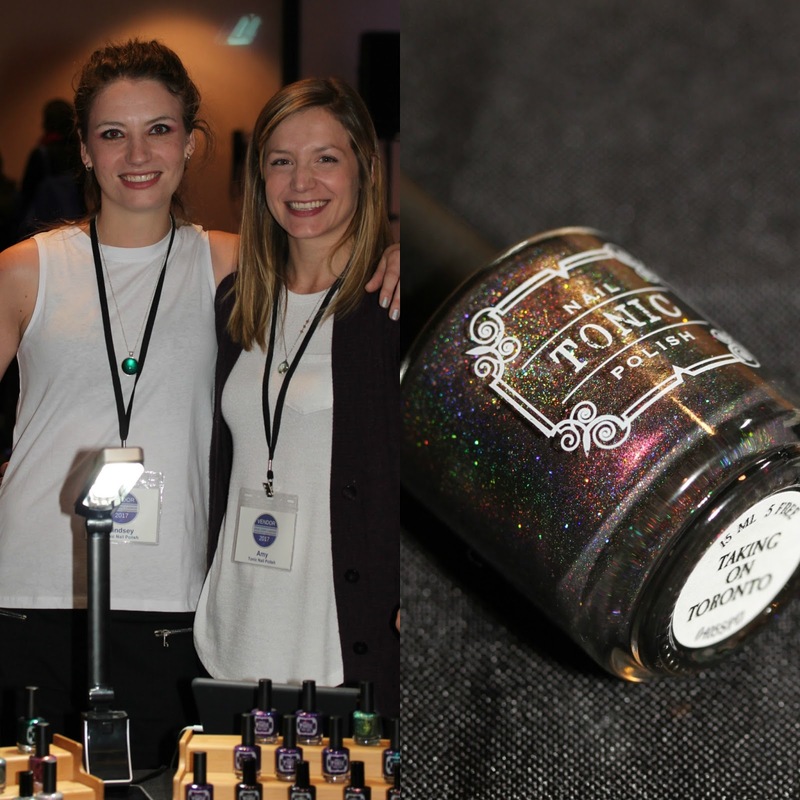 Lindsey, who is the creator of Tonic Polish attended the event with her sister Amy - they're both so lovely and talented! While Tonic Polish only launched in May 2016, this brand has taken the indie world by storm with their intense shimmers and complex holos. Taking on Toronto was the event Exclusive and it's a stunner! 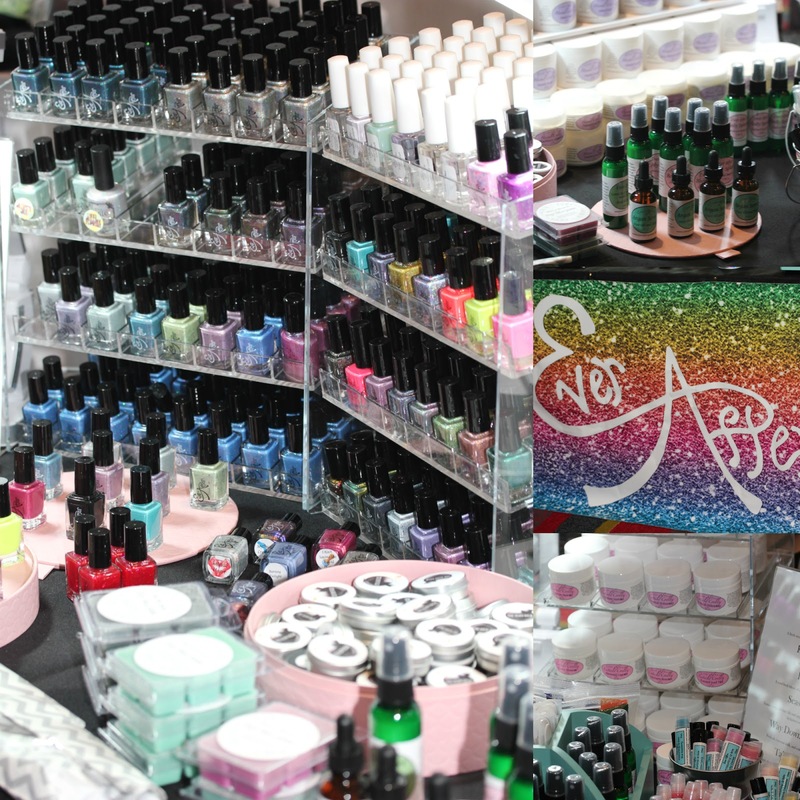 Oh, the Girly Bits Cosmetics table! What a beautiful sight to behold! Pam and the Girly Bits team brought SO MUCH POLISH! And nail care items, too! If you read my blog, you know I love Girly Bits and it was amazing to finally meet Pam in person. She's as dynamic and sweet as you would expect and a total dynamo for carrying off this event AND still being able to make gorgeous event LEs and an Exclusive. 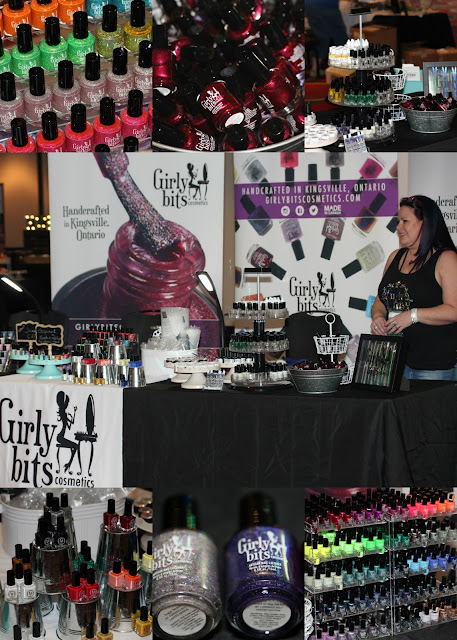 If you don't already know, Girly Bits Cosmetics is a Canadian company that has been handcrafting quality nail polish since 2011. As a brand dedicated to providing cruelty free, on-trend and unique products, Girly Bits is well known for outstanding customer service, charitable donations and custom nail polishes dedicated to lost loved ones. The Event LEs were Sugar Beach and Lost on the PATH (pictured at the middle bottom) and the Exclusive was The Red Rocket (pictured at the top middle in a bucket). Of course I bought all the these and will share pictures in another post. And for something a little different, SoGa Artisan Soaperie! This brand's products are handcrafted in small batches in Winnipeg, using only natural vegetable oils, exotic butters, clays and botanicals which are vegan and certified cruelty-free. 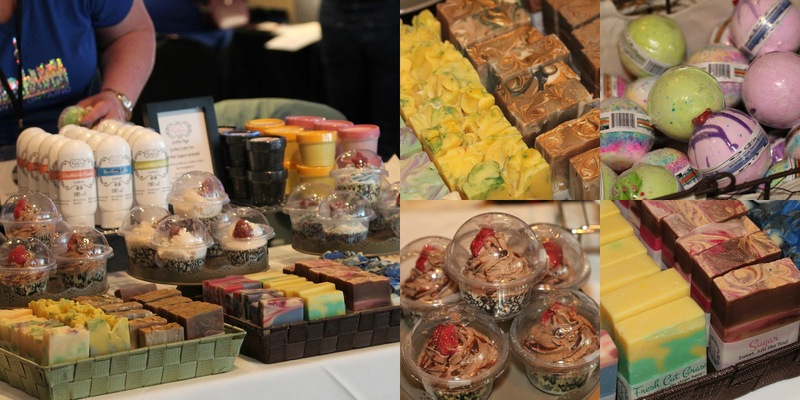 They also offer scrubs, lotions, bubble bath and custom soap cakes and slices, perfect for gifting. SoGa makes GORGEOUS products, as you can see. They look good enough to eat, no joke! As part of the VIP bag, I received an Exclusive bath bomb which smells beautiful and looks just as pretty. 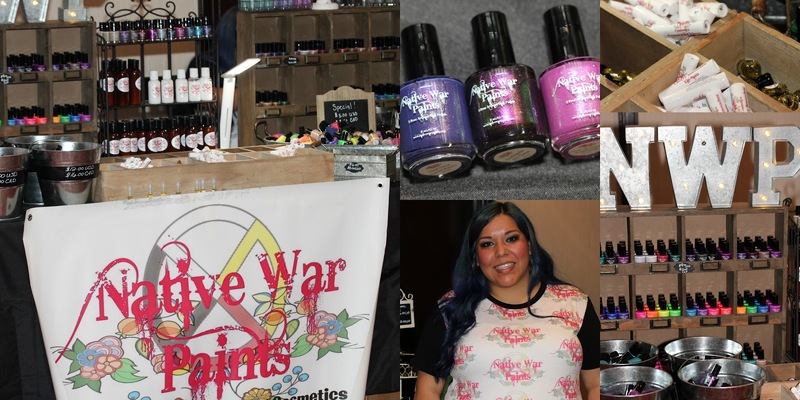 I love when nail polish makers are invested in the nail polish community and Cynthia of Alter Ego Body Care Products is one of those people! Cynthia makes an array of nail polishes, nail care, artisan soaps, pet products and fragrances. It was so awesome to see all of her offerings which she hauled all the way from Madison, WI! Cynthia made two Exclusives for the event - Generous Beauty (pictured above) and Precious Heart (which was in the VIP bag). 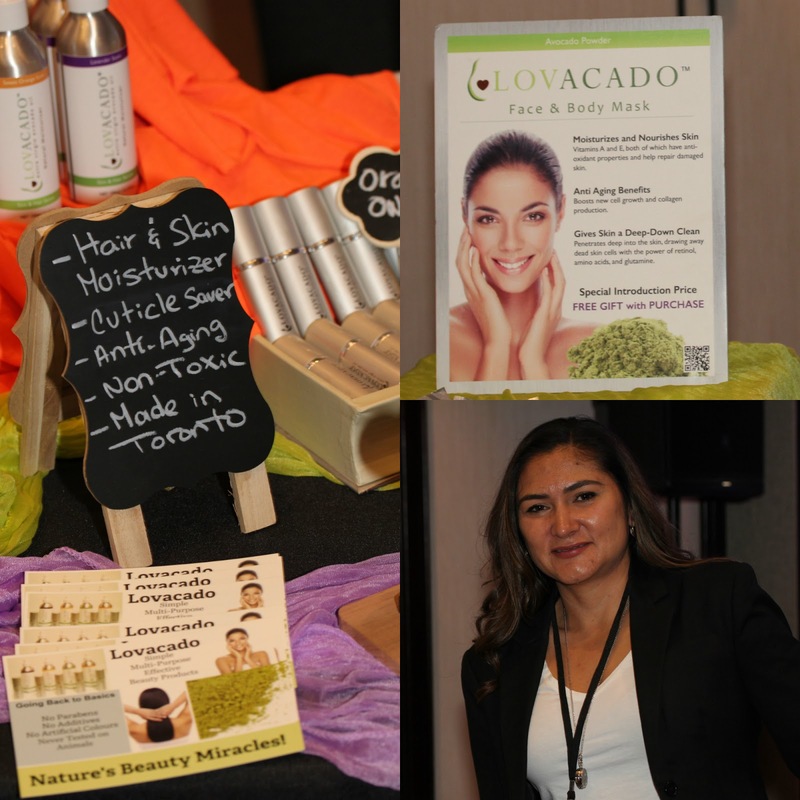 Lovacado is an amazing Canadian brand created by Claudia Murillo with none other than avocado! I love avocado and the idea of using it in my beauty routine never really struck me but, after trying Lovacado's Extra Virgin Avocado Oil for Skin and Hair, I'm a believer. Claudia, born in Colombia, was inspired by her Grandmother’s beauty routine and traditional values: respect nature, the body and value people. Holding these values close to her heart, Claudia developed Lovacado in 2013, focusing on leveraging the restorative power of natural plant oils and botanicals. I love that Lovacdo is run by a female-empowered team who shares a passion for natural, cruelty-free beauty. Are you still with me?! I've got one more vendor to share with you... Superficially Colorful whose products came all the way from Israel. The event Exclusive was Stealing Your Thunder (pictured at the top right) and the LEs were Giggly and Fascinated (bottom right). Superficially Colorful offers hand-mixed nail polish and handmade bath and beauty products. All polishes are 5-free, vegan and cruelty free and soaps and bath products are palm-free and toxins free. Unfortunately, Wunderbar and Bliss Polish couldn't make it to the event due to a family emergency and customs issues, respectively. 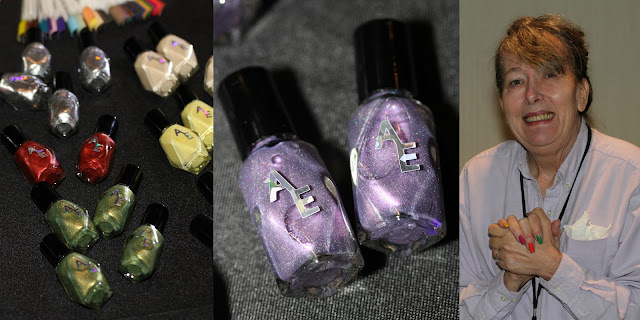 In case you were wondering what I wore on my nails to IEC, I chose Girly Bits Supersonic topped with ILNP My Private Rainbow (X) (shown below with some other pics from the event, including most of the VIP bag contents). It was an absolute pleasure to attend IEC Toronto 2017 and I look forward to next year's event which promises to be even BIGGER and BETTER! Thank you for your thorough and detailed review! All your photos and descriptions are amazing! My pleasure! It was so great to meet you and experience your products! Thank you! So lovely to meet you at IEC! Must of been sooo fun!